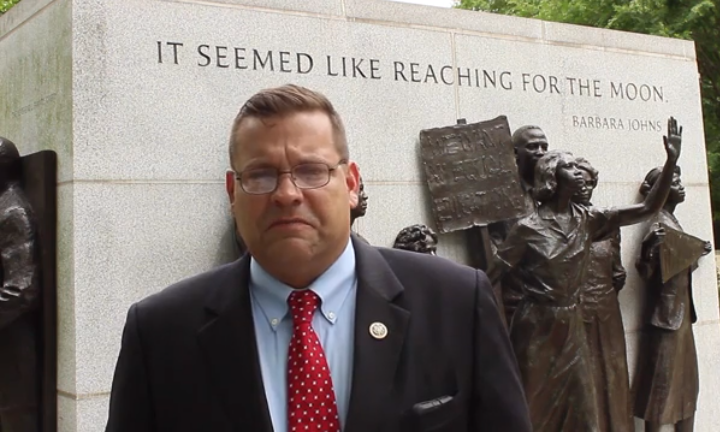 Freshman member of the conservative Freedom Caucus, Rep. Thomas Garrett (R-Va.) announced Monday that he has indeed abandoned his run for a second term in Congress, siting a personal struggle with an addiction to alcohol and a need to refocus his priorities on his family and taking the time to get help for his addiction. Among a flurry of Republican House Members announcing their retirements, he marks the 48th to do so since President Trumps surprise victory in November of 2018. The reason given by some spectators is a fear of the “Blue Wave” that their counterparts are hoping they see in this year’s midterms. In addition to the 48 Republicans, there are at press time, currently 20 announced retirements from the Democratic side of the aisle as well – a nearly third less than their contemporaries – that may be seen as added credibility for the “Wave Theory.” Ultimately, the upcoming elections will hold the truth, alone. For those interested, the House Press Gallery maintains a running list of the changing Congress. Many may be leaving over worry of there being an overwhelming victory by the Left this Fall, however those close to those retiring who have reported that it’s not any fear of defeat from the Left, but that it stems from a larger frustration with the partisan politics and wall of red tape that greeted the Representatives to their positions in Washington DC. For Garrett, now 46, who was elected in 2016 to the very seat (and two future Presidents of the Nation) James Madison opposed James Monroe for, in the first Federal Election in 1789, leaving has been a sudden turn in a week of his name continually being headlining in the news. The former Virginia state senator has been campaigning against a formidable opponent in Democrat challenger, Leslie Cockburn. Cockburn, an author and journalist, has outraised Garrett in fundraising and holds more cash on hand than the Republican as well. The election was certainly not an absolute for Garrett, by any means, and the events that occurred over the last week may have been too much for Garrett to bear the weight of any longer. Last week Garretts Washington office announced the resignation of their chief of staff, Jimmy Keady. Soon after, an online news report claimed that it had caused Garrett to rethink his run for reelection, which prompted a presser the following Thursday in which Garret denied that report outright, insisting it was baseless and he indeed was running. By Friday, Politico had reported that four unnamed staffers, formerly employed staffers of Garrett, accused him and his wife Flanna of inappropriate practices; duties that pertained to the couple and their newborns personal needs and tasks, which is something prohibited by House ethics rules and regulations. The staffers requested to remain anonymous because they feared retaliation against them. This has made confirming the story difficult, as the The Washington Post stated in their interview of contact they made with two anonymous staffers who previously worked in Garretts congressional office, who they quote saying, “the couple would from time to time call upon staffers to handle personal chores,” but little more. Next: What is the impact and future look like for Rep. Garrett?